Textually, Article 233(2) only prohibits the appointment of a person who is already in the service of the Union or the State, but not the selection of such a person, the Bench held. Whether a person in Judicial or Government Service, can participate in District Judge selection process or he has to resign his job before applying for it? This interesting question which required interpretation of Article 233 of the Constitution of India came up before a Bench of Apex Court comprising of Justices J Chelameswar and Abhay Manohar Sapre. The Apex Court has held that Article 233(2) of the Constitution of India only prohibits the appointment of a person as District Judge, who is already in the service of the Union or the State, but not the selection of such a person. The Court has set aside the Patna High Court judgment which had required the aspirant to resign his membership of the subordinate judicial service if he aspires to become a District judge. 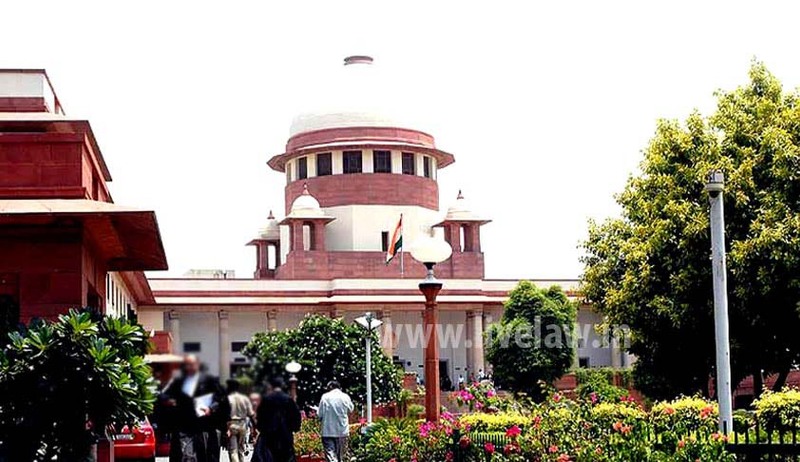 The Court has also directed to permit the aspirants to participate in the selection process without insisting upon their resigning from their current employment and held that if they are found suitable, it is open for them to resign their current employment and opt for the post of District Judge, if they so choose. Vijay Kumar Mishra, a Probationary Civil Judge, had applied for the post of District Judgeship but his representation before Registrar General, to appear in interview for the post of District Judge Entry Level (Direct from Bar) Examination, 2015, was rejected and a condition was imposed that he will have to tender their rejection, first, from the Subordinate Judicial Service of the State of Bihar and only, thereafter, he could appear in the interview. His challenge against this stand adopted by Registrar, did not stand before the High Court. Justice Chelameswar observed: “it is well settled in service law that there is a distinction between selection and appointment. Every person who is successful in the selection process undertaken by the State for the purpose of filling up of certain posts under the State does not acquire any right to be appointed automatically. Textually, Article 233(2) only prohibits the appointment of a person who is already in the service of the Union or the State, but not the selection of such a person. The right of such a person to participate in the selection process undertaken by the State for appointment to any post in public service (subject to other rational prescriptions regarding the eligibility for participating in the selection process such as age, educational qualification etc.) and be considered is guaranteed under Art. 14 and 16 of the Constitution.